Finlandia Prize and Finlandia Junior Prize to HLA authors! 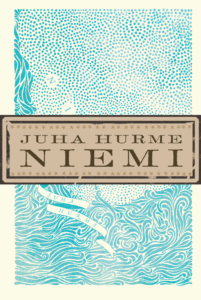 Juha Hurme’s HEADLAND, described as a magnificent cultural history of the world, has won the Finlandia, Finland’s most prestigious literary prize, as the best novel of the year. 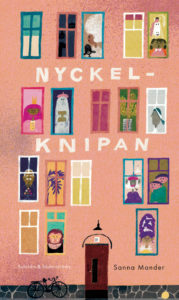 Sanna Mander’s THE LOST KEY, a wonderfully illustrated children’s book, has won the Finlandia Junior Prize, given to the best children’s or young adult title of the year. HEADLAND tells the story of the Finnish peninsula from the Big Bang to the historically important year of 1809. The wildly humorous novel moves at an amazing pace through some billions of years and grows into an open-minded cultural history of the world. Juha Hurme (b. 1959) is one of the most original and best-known theatre directors and scriptwriters in Finland. He has directed numerous successful plays to several theatres. His previous four novels were all published wide critical acclaim. The novel was published by Teos Publishers. THE LOST KEY is an illustrated children’s book about life in an apartment building. There is a princess in a small room, tired of living in her thousand-room castle. There is a ghost in need of a cleaning lady, a magical merry-go-round in the attic, and a gallery of other curious and intriguing characters. But in which apartment is the lost key? The title was published in Swedish by Schildts & Söderströms and in Finnish by S&S. Sanna Mander (b. 1980) grew up in Stockholm, Sweden. She studied graphic design in Helsinki and now lives there with her family. Mander has illustrated children’s and young adult titles published in different countries, and has also designed textiles, packing, posters and book covers. Helsinki Literary Agency started at the beginning of this year as a joint venture of three independent Finnish publishing houses: Gummerus, Teos Publishers and Schildts & Söderströms. The agency has on its list four previous winners of Finlandia Prize: Mikko Rimminen’s RED NOSE DAY (Teos Publishers, 2010) Ulla-Lena Lundberg’s ICE (Schildts & Söderströms, 2012), Riikka Pelo’s OUR EARTHLY LIFE (Teos Publishers, 2013) and Jukka Viikilä’s WATERCOLOURS FROM A SEASIDE CITY (Gummerus, 2016). 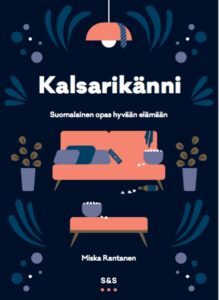 Journalist Miska Rantanen‘s upcoming lifestyle book KALSARIKÄNNI – PANTSDRUNK: The Finnish Path to Zen was sold to nine areas during the Frankfurt fair and the next couple of weeks. The World English rights were acquired by HarperCollins USA in an auction, the German rights by Goldmann (Penguin RandomHouse) in auction as well and the Dutch rights by Uitgeverij Q, likewise in auction. The Swedish rights were acquired on the night before the Frankfurt fair by Kristoffer Lind from Lind & co.. The Hungarian rights are with Kossuth, the Estonian with Post Factum (Eesti Meedia), the Spanish with Zenith (Grupo Planeta), the Russian with Alpina and the Brazilian Portuguese rights with Letramento. The book, coming out in Finnish by S&S in February 2018, has been described as “Zen with an edge from the madcap siblig of the Nordic family”.